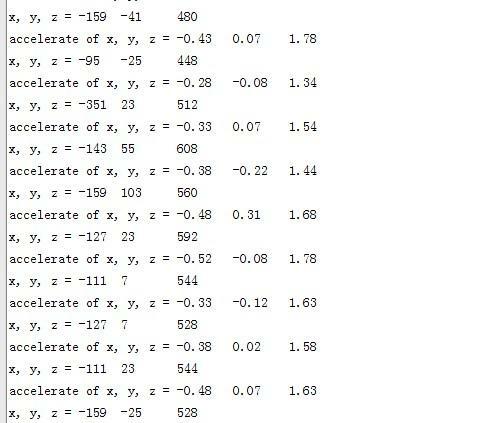 Here below we show you how to read the raw data from this accelerometer. 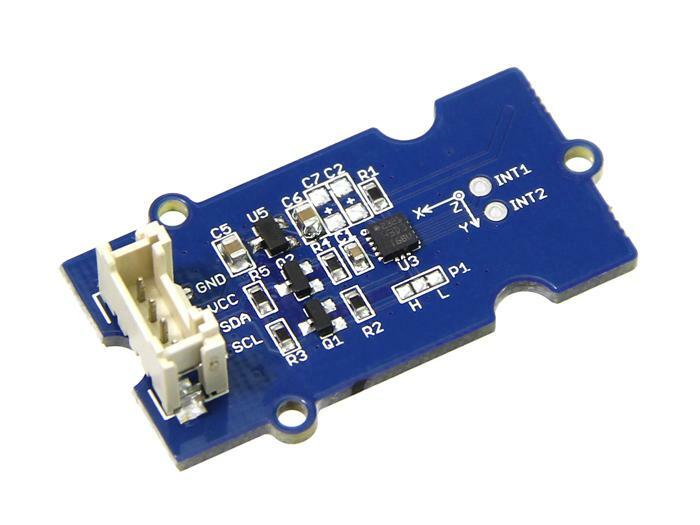 Plug it onto the I2C port of your Grove - Base Shield. 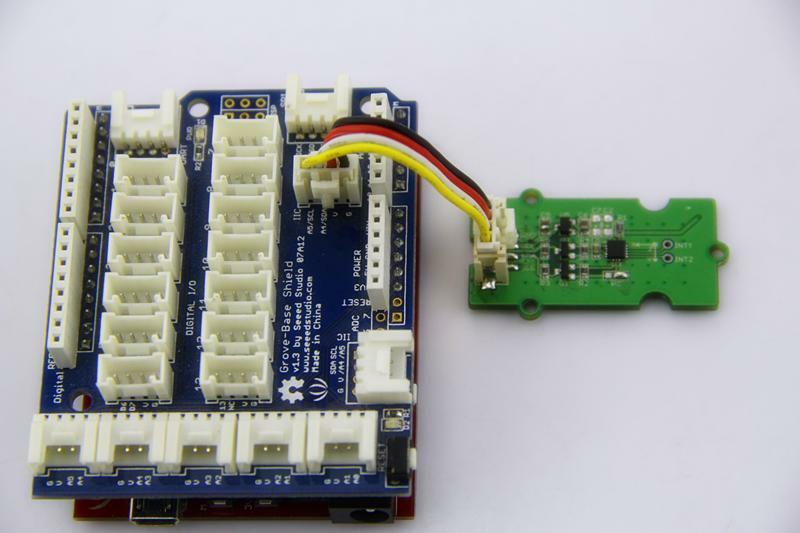 Download the Digital Accelerometer(±400g) Library and unpack it into arduino-1.0\libraries in your Arduino installation folder. Open the demo code directly by the path:File -> Example ->Grove_3Axis_Digital_Accelerometer_H3LIS331DL->H3LIS331DL_AdjVal. It is a sketch to adjust the raw data of H3LIS331DL to make it more precise. Open the serial monitor to get the adjust value of reference as the steps described in serial output. Open the demo code directly by the path:File -> Example ->Grove_3Axis_Digital_Accelerometer_H3LIS331DL->H3LIS331DL_Demo. Then modify the VAL_X_AXIS/VAL_Y_AXIS/VAL_Z_AXIS according to what you get from H3LIS331DL_AdjVal Sketch. Upload the code and open the serial monitor and open the serial monitor to check the result.